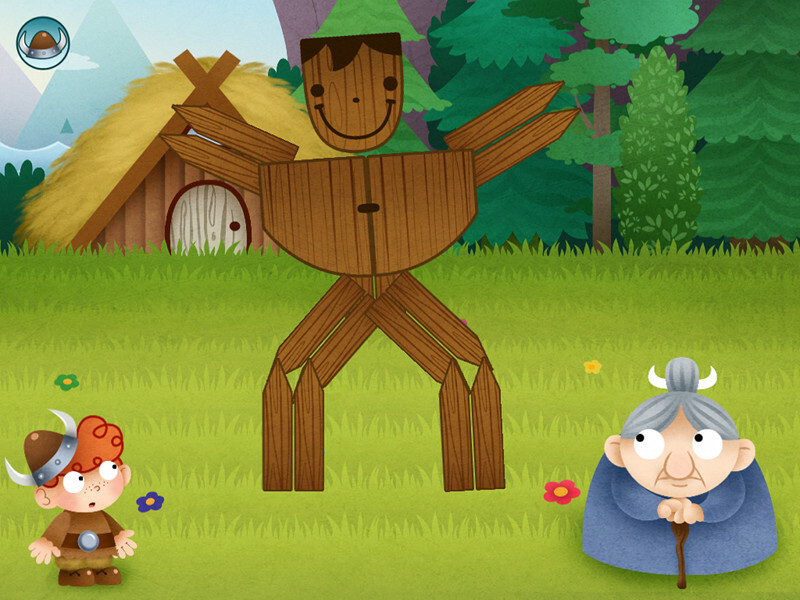 A beautiful, engaging, colourful preschooler apps. 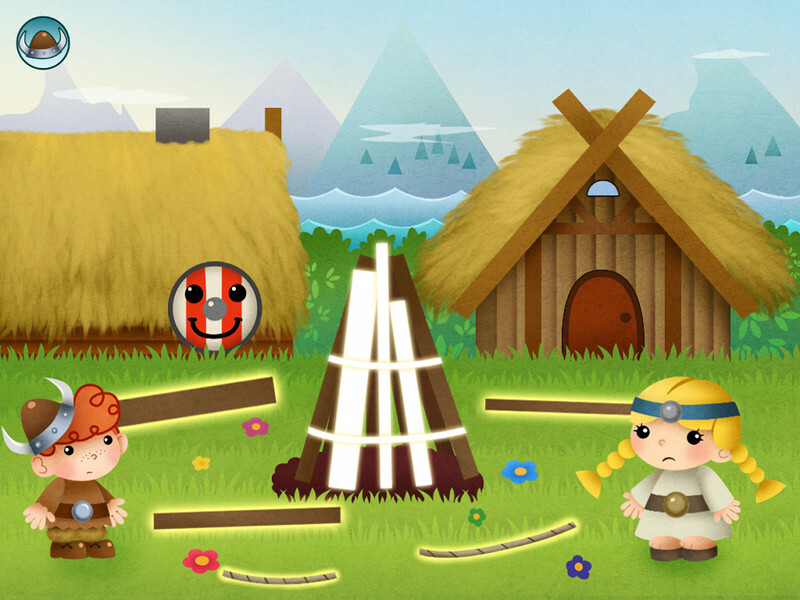 There are 4 activities to choose from, with a maze connecting you from activity to activity. 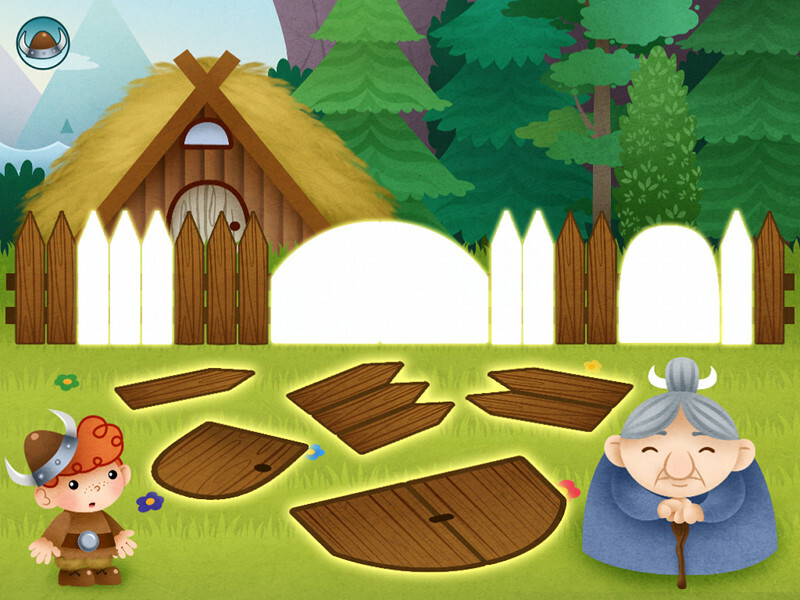 The preschooler is asked to repair things, from putting the boat together, the house, fixing the fence to building a fire. Lovely rewarding music and image for success. The parents section has suggestions from the developer as to their intentions with the app, which is very insightful – so you can help your child get more from the app. This app would be suitable for both boys & girls. 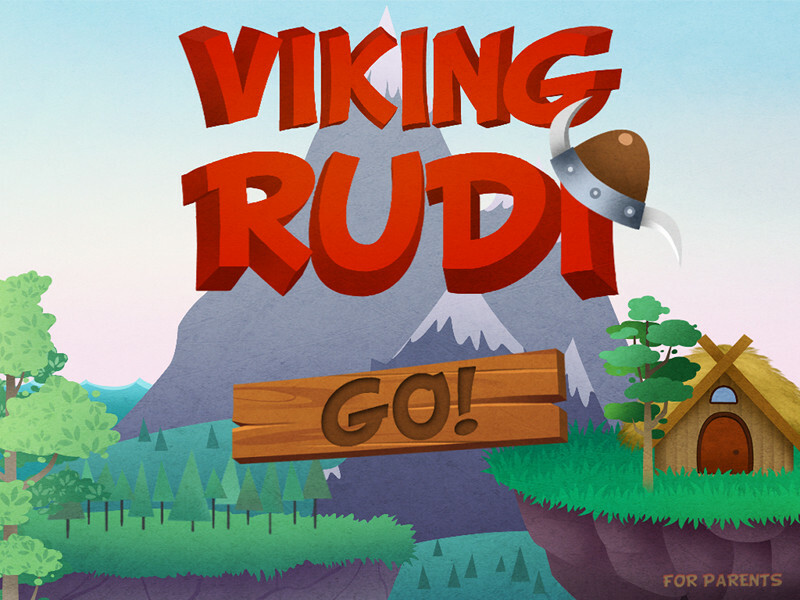 Help the little Viking Rudi fix broken elements in the village by matching shapes and finding your way through the labyrinths in this colorful, interactive game for kids around the age of three which improves their shape recognition abilities and logical thinking. That shape recognition and problem solving abilities are an advantage is self explanatory. Our game is also and mainly about helping others. We want to show your kids a good example to follow – helping others can be fun and rewarding! 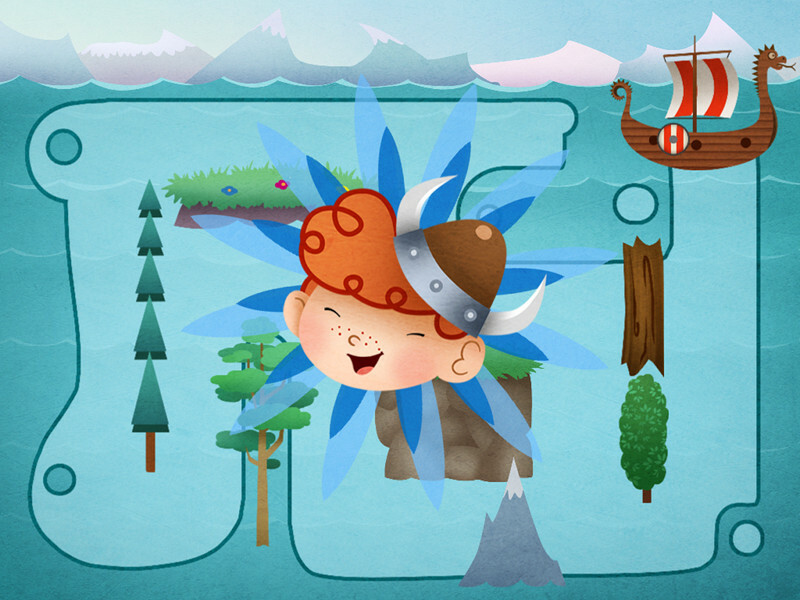 Our second goal is to facilitate your kids’ development of symbolic thinking, or to put it simply, to enter with them hand-in-hand into the world of linguistic humor. Our reader’s suggestive intonation should draw your children’s attention to what is being spoken and help them realize that something is out-of-ordinary. On the menu screen tap GO! to enter the game. You can skip the introduction by tapping the helmet in the top left corner or follow the arrows which show when the scene ends. On any other scene the helmet also always returns you to the map. The map is the scene with four highlighted objects: a broken house, boat, bonfire and fence. Tap the object you want to fix. Each object directs you to a fixing module consisting of a labyrinth, shape matching game and the reward scene. In the labyrinth your task is to get to the object you chose to fix. In the following game you have to move the highlighted bits lying around to the matching white shapes. The reward scenes contain hidden interactions. The arrow on the reward scene directs you to the next fixing module. On the menu screen tap FOR PARENTS in the bottom right corner of the screen and then the top left corner quickly afterwards to go to the section for parents.